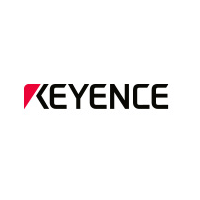 Keyence Off Campus Drive 2018 for Sales Application Engineers (SAE) for B.E/B.Tech graduates.The detailed eligibility and application process are given below. You have a minimum aggregate academic score of 60% or 6.0 CGPA with no standing arrears. Your age is less than 25 Years. You are a hard worker and have good communication skills in English. Develop thorough understanding of Engineering / Industrial Products like the Photoelectric Sensors, Proximity Sensors, Measuring Instruments for Inspection Lines, High Precision Microscopes, Laser Makers and so on used in research institutes and sell them to relevant target industries. To connect with Industrial Customers, explain about these products and take it forward through detailed product demonstrations and testing. Must be a hard worker in his given area or territory to achieve the sales target. Willing to travel to the customer places to fulfill customerâ€™s requirements. To maintain good relationships with the existing customers and retain them by offering timely support and service. To prospect and generate leads for sales continuously and be responsible for the complete sales lifecycle from initial connection to the customers over calls to visiting the clients for demonstration & testing to closing the sale and to offer post sale service & support. How to apply Keyence Off Campus Drive 2018?